Etsy US is now LIVE on Affiliate Window! 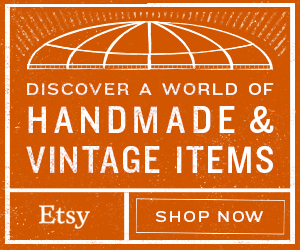 Etsy is a marketplace where people around the world connect to buy and sell handmade and vintage goods. Etsy offers a meaningful and personal shopping experience to consumers and gives independent, creative businesses around the world the tools to be successful. Our mission is to reimagine commerce in ways that build a more fulfilling and lasting world. Join the Etsy (US) Affiliate Program Today on Affiliate Window and earn 4% commission for sharing one-of-a-kind items from our global marketplace! Plus as a launch incentive we will be offering 5.5% commission on all sales through February 13th, 2015. All affiliates are welcome to apply, however certain profiles are not eligible for the program at this time including; Etsy sellers, cashback sites, discount code sites, loyalty sites, and advertising networks. If you are not a US affiliate please join our UK, Canadian, French, German, Scandinavian, Australian, EU and Rest of World programs available across AW & Zanox. We are currently working with Fusepump to bring you an affiliate feed and we will let you know as soon as this is ready for our affiliates!